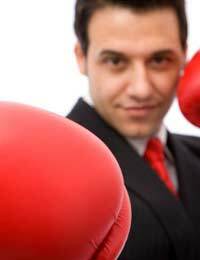 Staying ahead of your business competition will mean actually undertaking some research on your competitors. Continually updating your knowledge of your market will also be beneficial in discovering new business opportunities and exploiting the opportunities you already have. Your rivals can be one of the major threats to the success of your company. Undertaking research is vital in order to find out what your rivals are doing and if they are doing it better than you. You will need to keep track of your rival’s products, how much they are charging, the services they offer and their plans for the future. This research should be undertaken on a continual basis and not just when you initially start to run your company. If your company is already up and running then you will no doubt have your advertising in place. One of the major factors towards staying ahead of your rivals is to focus on your unique selling point (USP). This is the factor that makes your product or service stand out from the crowd. You should make customers aware of the USP and the benefits that it will bring. This should in turn initially catch their interest and if the USP is good enough it is the way to attract repeat customers. In order to attract more consumers, and attract them away from rivals, you need to be aware of what consumers want. Market research will be able to help your company find out exactly what customers are looking for from their products and services. Obtain feedback from customers who have already used your service and ask how you can make them happy. Find out the key elements that customers actually look for; this may not as many people think be the lowest price. Customers continually change their minds, so never underestimate this and always listen to feedback. Always look at ways to attract new customers; this means attracting your competitor’s customers. Can you provide the same service as your competitor but at a lower price or with extra services for the same price? Can you offer a more personal touch with regards to customer services? Customer services can be a very major issue for customers; if the customer service is bad it is a major turn off for consumers and they will immediately look elsewhere. Special offers are a good way to attract new customers. Although low prices aren’t always good for business they can be a good investment if they are used only for a promotional period. If the service is good enough then hopefully the customer will be willing to return when prices do go up. However, make sure customers are aware that this price is strictly a promotional price for limited time. Do not under any circumstances get caught up in a price war with a competitor, this will only cause problems for your business. Make sure that you do look after the customers that you already have. These customers are keeping you in business and paying your wages. Many businesses, once they have hooked in a customer will tend to focus on simply reeling in more customers. The customers you already have are the ones your competitors are looking to steal from you. You can always keep customers happy with incentives such as small discounts for paying on time or paying online, and introducing bonus schemes for loyal customers. Take the long term view and remember that finding new customers is harder than holding on to the ones you already have. Always keep an eye on your own market and developments that are occurring within it. Plan for your business growth as early as possible and always be open to change. Be aware of environmental and economic changes in your market and changes that will have impact on your customer’s spending habits. Implement technology that can track customer’s habits so that you will be aware of any differences. Planning your business growth is the only way to gain an edge, or at least stay level with your rivals. All of the above factors should help you stay ahead of your competitors. Researching your customers and your competition are two of the major factors to business success. Your business should always be open to change; if you haven’t yet considered online selling technology then you can be sure that your rivals have. By covering all of your bases you should be able to retain your own customers and steal some away from the competition.